The most important test of any sports headphones is whether or not they stay in your ears when running. 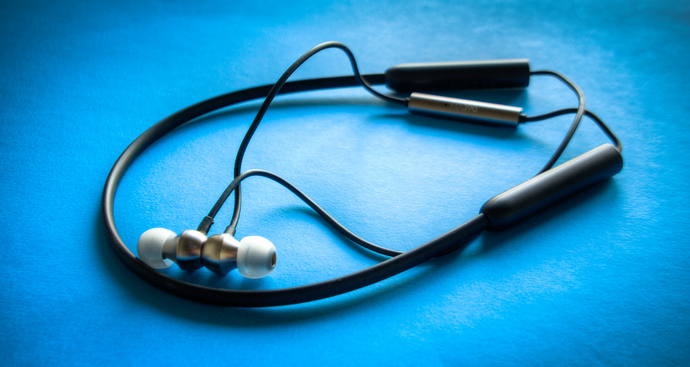 Earphones that fall out or continuously need to be adjusted when you’re working out won’t be used very often, no matter how good the sound quality is. Manufacturers have come up with a few inventions to get around this problem, from over-ear hooks to weighted neckbands – the latter often being more trouble than its worth. The RHA MA390 do a good job of pulling off what most competing earphones fail but lacks in other areas for more sedentary travelers. Here’s my full review of the RHA MA390 earphones in the video above or read on. RHA’s MA390 earphones have slick packaging, marketed directly to travelers; you’ve probably seen some in an airports electronics shop. Don’t be fooled though, these are earphones that don’t sound as good as they look. Not that the RHA MA390 are bad, they’re just solidly average from audio to built-in microphone. But if you’re running or otherwise working out, premium sound quality isn’t necessarily critical (and completely irrelevant if the buds keep falling from your ears). There’s no accompanying RHA app to adjust sound levels so they play it safe by keeping the MA390 to a generic bell curve, with a preference for mid-tones. Those of you who like strong bass in your music won’t find a good thump in the MA390. No bass thump but probably no finger-constantly-tapping-earphones thump either, even as you get sweaty. IPX4 rated means the MA390 can survive a solid splash of water or constant barrage of sweat throughout it’s roughly 8 hours of battery life. To help balance in your ears, RHA use a slightly thick, weightier band that rests around the back of your neck. The neckband, which attaches the two ear buds offsets any motion, distributing it from your body and head to the band. What results are earbuds that stay in your ears when running. Unlike the NuForce BE Sport3 headphones [full review here] whose weight is unevenly distributed, RHA’s MA390 don’t start to slip when they get wet with sweat. The neckband is inconspicuous while running – RHA has also made it flexible enough to be awkwardly stuffed into the small case they come with. Average sound quality, the MA390 aren’t going to come close to the premium Bose 20i [full review here] though to be fair, RHA aren’t trying to. Competition is more in the $50-75 range, like the previously mentioned BE Sport3. Between the two, advantage goes to the RHA MA390 with the caveat that you’ll use them while running or working out. 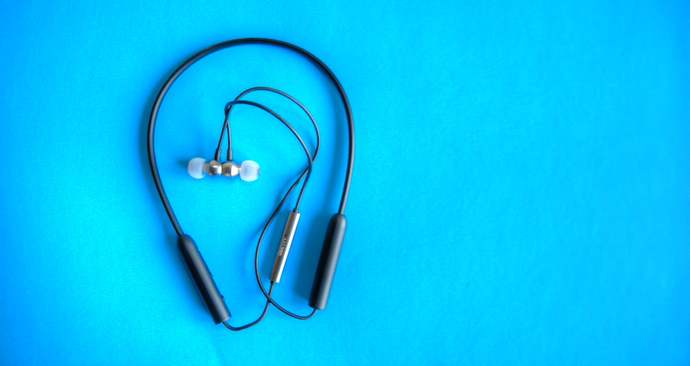 For travelers who, despite their best intentions, know they won’t be exercising a lot but want inexpensive, light earbuds, the BE Sport3 might be all you need. Everyone else who (like me) have struggled to find earphones that can handle a solid run outdoors or inside on a treadmill, the RHA MA390 are an affordable, reasonable purchase.